Every new iPhone experiences a few limited problems at launch, and the iPhone XS is no exception. We’re enjoying our new iPhone XS devices, but that's not necessarily true for everyone else who has one. As is the case with every new iPhone launch, there are a few technical issues cropping up for at least a small percentage of users. The three issues most broadly corroborated by users online are the “beautygate” selfie camera problems, irregularities with charging, and wireless performance problems. The most widespread complaint by far is that the front-facing camera on the iPhone XS is applying a sort of beautification filter to selfies. Users complain that selfies taken with the front camera smooths out their skin, giving it a “plastic” look, and that the XS alters the color tone in order to give their skin a bit of a glow. Apparently, this happens any time the front-facing camera detects a face. While some users have suggested it is related to the new Smart HDR feature, others have confirmed that disabling the feature doesn’t really fix things. We did a little testing ourselves, and there’s definitely something fishy going on. Consider the following three images. The leftmost photo was taken with the iPhone X’s front camera, while the center one was taken immediately afterward with the iPhone XS Max—same lighting, time of day, position, everything. There’s some obvious smoothing on my face. What’s more, if I cover my face (as I did in the third image), the color temperature shifts. Look how much the back wall changes from a yellowish hue to a purer white. You can clearly see a shift in color tone when I cover my face with my hand. The smoothing effect can be seen even more clearly if we zoom in to the side of my face. The changes in my skin tone are more apparent, too. I don’t mind looking younger, I just want it to be an optional feature. It has been pointed out that “beauty” filters for selfies are extremely popular in some of the Asian markets where Apple is trying to grow marketshare. The theory is that, when the iPhone XS detects a face, it applies some subtle changes to the final image that would make users in those markets happier with the way their selfies look. There’s probably never going to be a way to prove that theory, but this sort of intentional image manipulation should always be optional, even if that option is enabled by default. If it’s merely a technical error instead, Apple should issue an official statement and address the problem with an iOS update. Some users have been reporting problems with charging their new iPhones. Specifically, some phones seem not to respond when the Lightning cable is plugged in. Typically, an iPhone’s display lights up to show that it’s charging, accompanied by a charging sound. Some users have reported that their iPhone XS or XS Max devices simply do nothing at all when they plug in the Lightning cable, no matter which power adapter they use. In some cases, tapping on the screen to wake it will cause the phone to start charging; in others, the cable has to be unplugged and re-plugged. Popular YouTube channel Unbox Therapy recently posted a video demonstrating the problem. 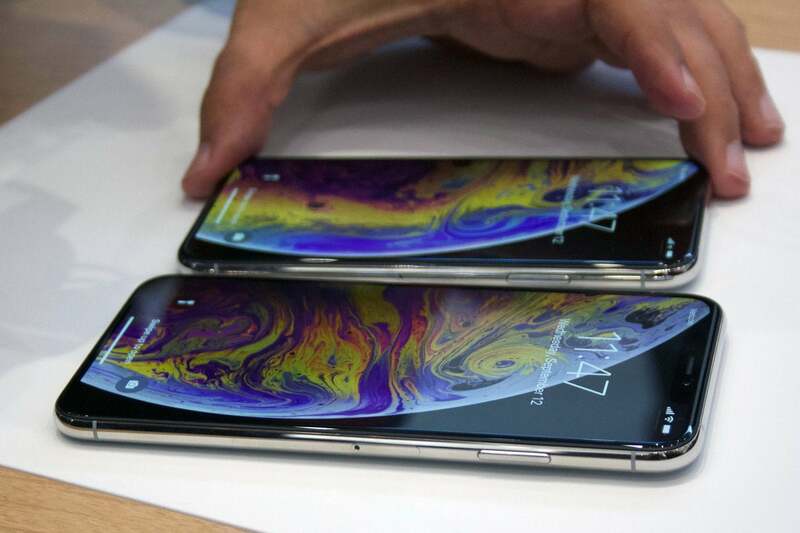 In comments on other sites and forums, some users complain that the problem has even started affecting their older iPhones or iPads after updating to iOS 12, fueling speculation that this is a problem with the operating system, perhaps with the new USB Restricted Mode. However, that new feature was added in iOS 11.4.1, and nobody complained about this issue after that iOS update. We here at Macworld haven’t seen the issue at all on any of our iPhone XS or XS Max models or on any earlier iPhone or iPad. It’s clearly affecting a non-trivial percentage of users, as they have clearly documented their problems with videos posted to social media. A small percentage of users have complained in forums and on Reddit about less reliable Wi-Fi and cellular connectivity from their iPhone XS, when compared to earlier models. This is contrary to our own early network tests, which showed almost universally better performance--both on Wi-Fi or cellular--particularly in bad conditions. However, we measured upload and download speed, which is different from connection strength. A device with enhanced features like 4x4 MIMO and LAA could give have a weaker signal strength and still deliver faster speeds. The site WiWavelength examined the FCC filings for RF signal strength on the iPhone XS and XS Max and concluded that their transmission and reception strength just aren’t as strong as earlier iPhone models. This likely wouldn't be the fault of the Intel modem Apple chose this year, but rather other design considerations of the phone. It’s possible Apple could improve this with a software update, but it's also possible it might not be able to improve the situation without a hardware revision. Without more detail regarding exactly what is causing lower RF signal strength, it’s not really possible to know. Networking is nothing if not finicky, and can fluctuate from moment to moment and place to place. Comparing speed tests or signal bars are not always a good way of knowing if your connection will be reliable. Turn on Airplane Mode, wait a few seconds, then turn it off. When you reconnect to the network, you may lock on to a better signal. Reset your network settings. Open the Settings app and go to General > Reset > Reset Network Settings. You’ll have to re-enter your Wi-Fi passwords, as this resets all network settings. Reset your iPhone and set it up as a “new” iPhone instead of restoring from a backup. Go to Settings > General > Reset > Erase All Content and Settings. When the phone restarts, choose to set it up as a new phone instead of restoring a backup. (Just sign in with your existing Apple ID.) Consider this the nuclear option—it’s a real pain to re-download and log into all your apps again. Contrary to what Apple fans and tech enthusiasts online will tell you, these sorts of problems with new iPhones are nothing new. Every single iPhone has released with a handful of problems that affect some small percentage of users. Sometimes, as with the iPhone 4 “antennagate” problem, they affect nearly everyone. From the iPhone 6's “bendgate” and the iPhone 4s's yellow screen tint to the unresponsive home button on the iPhone 5s, early iPhone problems are the rule, not the exception. Certainly, one cannot limit post-launch iPhone problems to Tim Cook's time as Apple's chief. After all, Apple had to give iPhone 4 users free cases to mitigate antenna issues during Steve Jobs' tenure. Some iPhone 3GS users had sound problems, while others reported that their phones got hot enough to discolor the white plastic on the back. It’s almost impossible to tell exactly how widespread some of these new issues are. When you sell over 50 million phones per quarter, even a fraction of a percent of affected users means tens of thousands of angry customers, all posting about their experiences online. Certainly, the selfie smoothing and color problems seem widespread, even universal, and Apple would be well-advised to release an official statement about it as soon as possible. The charging problems are less common, but still well documented. Connectivity problems are far more nebulous and difficult to pin down. None of these things make the iPhone XS a “dud” any more than the early problems of prior iPhones did. It’s just a list of issues to keep an eye on as Apple releases software updates in the coming weeks.